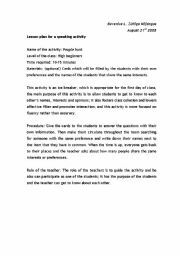 This activity is designed to low the affective filter on the first day of class, and it also helps students to find classmates with the same likes and preferences, and also to get to know each other. This is a descriptions of an activity in which atudents will create a poster i which they describe one person they admire and the reasons why they admire him/her. 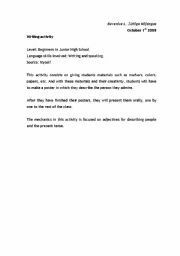 This activity proposes the development or writing and oral skills. 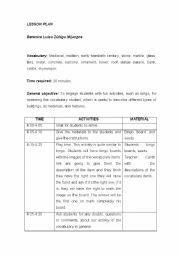 This lesson plan suggests a bingo activity, which you can use for teaching or reviewing vocabulary related to buildings, its characteristics and materials. Enjoy it!